Most definitely, the primary way to consume any plant is in the form of tea. It is said that that Kratom tea is the one with the most number of customers. The reason for tea acquiring top-chair is because of easiness in its procedure. Many numbers of people would show interest in having a tea drink rather than other forms. The following passage would discuss various ways of making Kratom tea. Though it isn’t anywhere like conventional tea making process, this would help you much in having Kratom in the easiest possible way. The following instructions are precise for you to understand you can consider it as a strategy and make your teas with utmost precision and quality. To be specific, this article is aimed at fresh users of Kratom who do not know the procedure of making tea per seeds. We are sharing the ideas which are from our daily routine. It would be a pleasure for us to let you know about a phenomenally fine plant. Tea is essentially a part of everyone’s life. it would be absurd to let you know how to prepare tea easily. Of course, what’s been discussed here isn’t a regular tea, but Kratom tea. Generally, every morning you do mixing up hot water with the leaves or powder and serve it for boosting up your energies or as a part of refreshment. Kratom Tea is treated as a pleasure drink among regular users. They make their teas more pleasing by adding it to Green tea or black tea. Sugar or honey can also be added into the mixture for better taste. Some people even use the potentiators of Kratom i.e. Sugar and Magnesium into the Tea for having good taste. Nevertheless, you need not consider all these ingredients. You can very well have the tea that you would love to have. The teapot isn’t the only option left for you while making this tea though it is considered as the stress-free and quickest way for making a nice cup of tea. You can make it in regular pots as well see through that that you won’t boil Kratom for a long time. There is a huge drawback in boiling the Kratom for a longer period of time and it could even lead to wastage of efforts since boiling would kill the alkaloid content in the Kratom. Do not misunderstand that Kratom shouldn’t get boiled up it can certainly, but not for a long period of time and not until the water gets dried up. If you wish to boil Kratom with the water, you must have a watch on the simmering pot. You must also maintain a suitable temperature so that the alkaloid content in Kratom would go lost. As mentioned above, actually, the easiest way of boiling the Kratom Tea is through teapot since everything is automatic in such modern-day pots. You need not take any strain in looking at simmering pots and maintaining the temperature. As the horn blows from the teapot, take some seconds and fill them into the glass of hot water. The heating will activate the alkaloid content in the Kratom, by adding some potentiators you would experience something that you haven’t imagined before. People who have doubts regarding whether to use coffee-pot instead of teapot could definitely make these teas in a coffee pot. You have to add Kratom dose in the place of coffee beans in the pot. I have an experience of making Kratom tea with coffee pots and trust me your attempt would certainly become a great success. The Kratom drink can be served. If you have some Kratom left, it can be stored in the refrigerator for further use. This could do to the minimum of three times unless you found the powder has lost its strength. You can test the vigor of the powder every time you do the above. What are the methods of preparing the tea? Have a glass of water, mixing it up with Kratom dose, adding some freshly made juice (or juice for that matter) and finally adding the solvent into the cold water. That’s how I take Kratom tea regularly. It is a highly recommended practice from my side. Let me be clear about my way of taking Kratom, I have mentioned the desired way of Kratom but that isn’t the sole option to have Kratom. There are many other ways of having it. 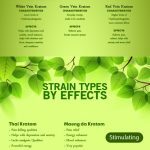 I regularly try to find out different ways to have Kratom tea, since I’m habituated with the quickest formula I practice that a lot. After having the Tea, after half an hour, you can have a shot of orange juice in case if you wish to have. I would like to claim that this is one of the most effective ways of having Kratom. Are you looking to have Kratom? Firstly, welcome to the Kay Botanicals club. If you wish not to buy Kratom in bulk quantities, you would wish to make the tea and consume it regularly. You can make it cold like I do or even hot, that doesn’t matter since Kratom is a very fine experience in any which ways. Do you wish to begin Kratom? Start the course immediately and you would not get dispirited. You will become a part of our Kratom community undoubtedly. If you wish to share your thoughts or opinions, do report us through the below social media handles.